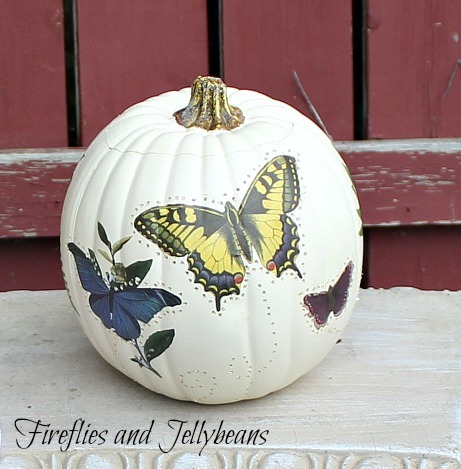 I used the New Martha Stewart Decoupage butterfly papers with the Martha Stewart Matte Decoupage. 2. 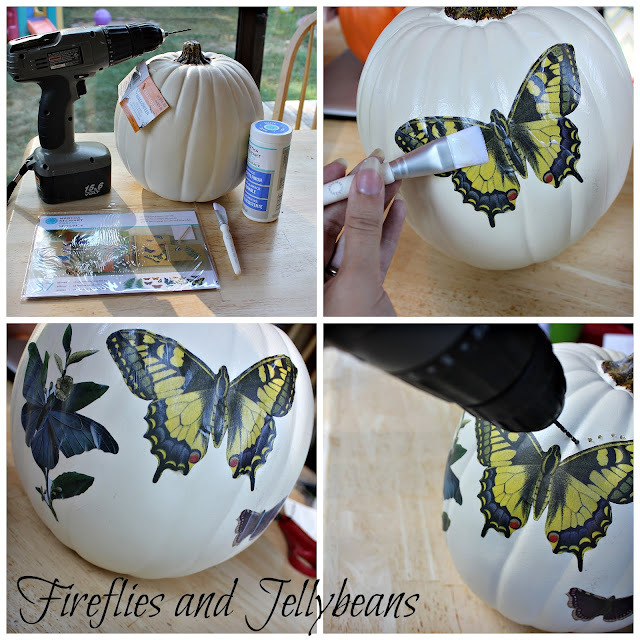 Brush the decoupage onto the pumpkin first, then add your butterfly paper, then brush on more decoupage on the top of the butterfly. 3. 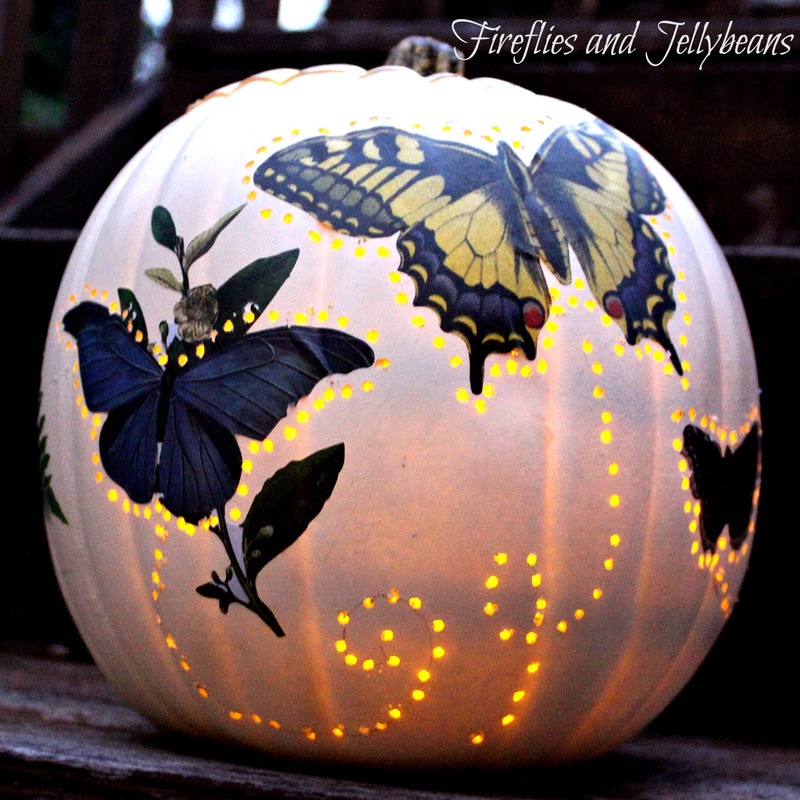 Add more butterflies and let dry completely. 4. 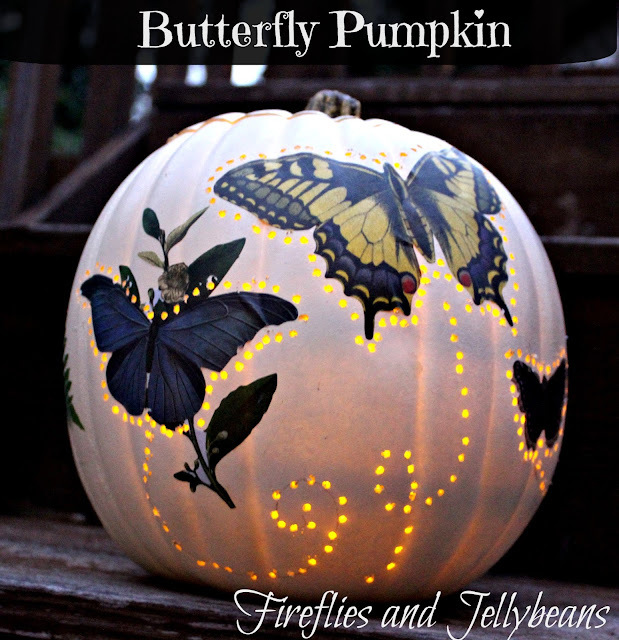 Use your drill to make little holes all around the butterflies and you can also add the flying path too. Show Off Your Stuff Party # 177 - It's Back!!! 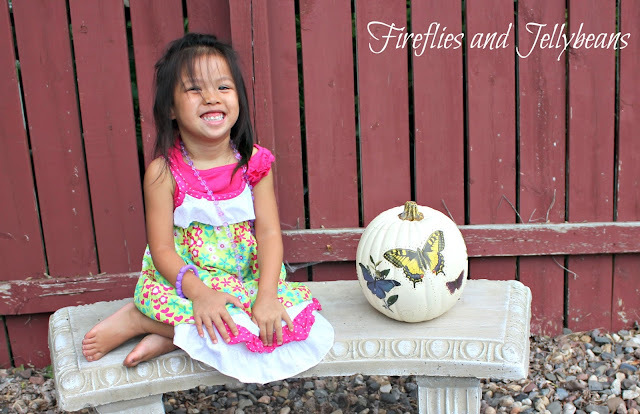 First - First day of school!